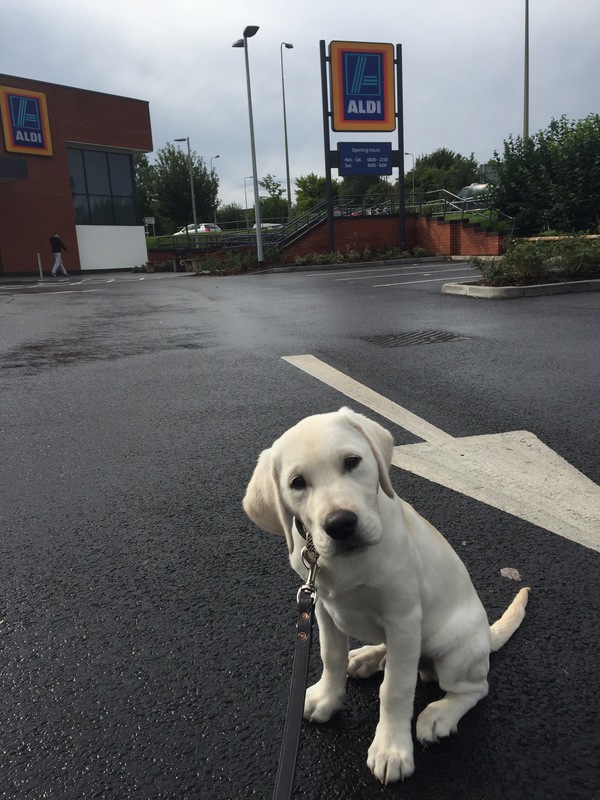 Bradley’s socialisation training involves going to the supermarket. At first I used to carry him around but now I ask him so walk on his leash. This is a whole new ball game for him because EVERYTHING on the supermarket floor smells so good! I definitely need my bag of tricks in the supermarket: kitchen towel, disinfectant wipes, poo bags and a squeezy bottle of water. Sitting in the car park at Aldi with my head tilted to one side. I think the new smells and excitement makes him need to wee! He has done wees twice in Aldi. Each time I clean it up with kitchen towels and disinfectant wipes. What’s tricky is doing the clean up one handed while making sure puppy stays calm nearby. 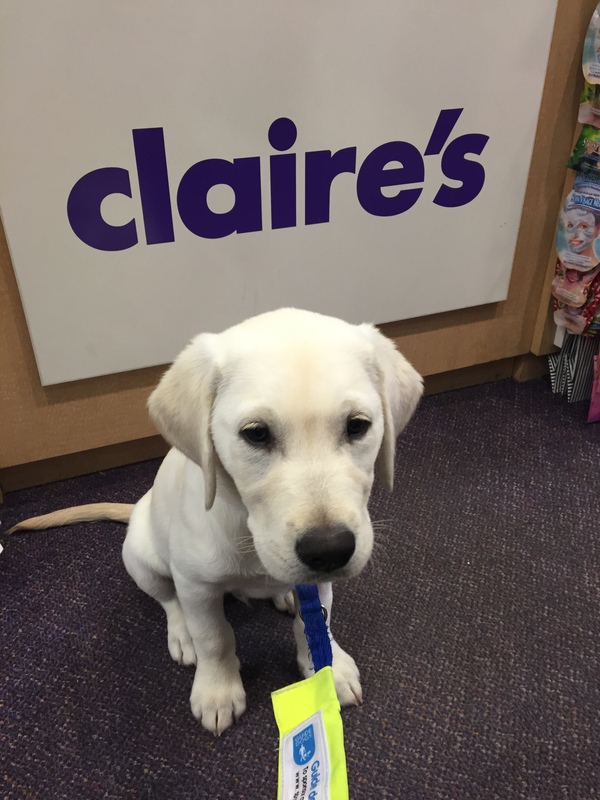 I’m sure nobody minds at all, as he is learning how to behave, but I always make sure I leave that floor cleaner than I found it! Thank you. He is a lovely, lovely dog. Adorable!! He’s lovely 🙂 I would love to be a puppy raiser one day, but probably after I get my assistance dog so I can actually do things!